When looking towards emerging technologies, there is a large focus being placed on Artificial Intelligence. Predicted to be a massive disruptor, AI could drastically impact the way in which we work, and live our lives. A large number of industries have already been changed through the use of automation and AI, and many others are beginning to feel the influence. Business communications in particular is starting to feel the impact of an AI revolution. The technology is still within the earlier stages of development and practical use, but there are a few innovators that stand out in leading the way for real world applications. We wanted to highlight a couple of these implementations and take a closer look at how drastically AI can impact, and potentially simplify, business communications. Where Is AI Right Now? Before we get deep into what AI can and cannot do, I think it’s important to place some context around our conversation. Artificial Intelligence is a topic that seems to make the news quite frequently, generally with predictions of doom and dread: an end to the era of work as we know it. However, I think it is really important to take a step back and look a bit closer at exactly where this technology is, and how it fits into our society right now. To help us better understand the maturity of AI, we can look towards the Gartner Hype Cycle. The short and skinny of it is that the Gartner Hype Cycle is a method to measure the effectiveness and life cycle of an emerging technology — whether that tech is at the “plateau of productivity,” with real-world applications, or still within the “peak of inflated expectations,” and over hyped in the news. 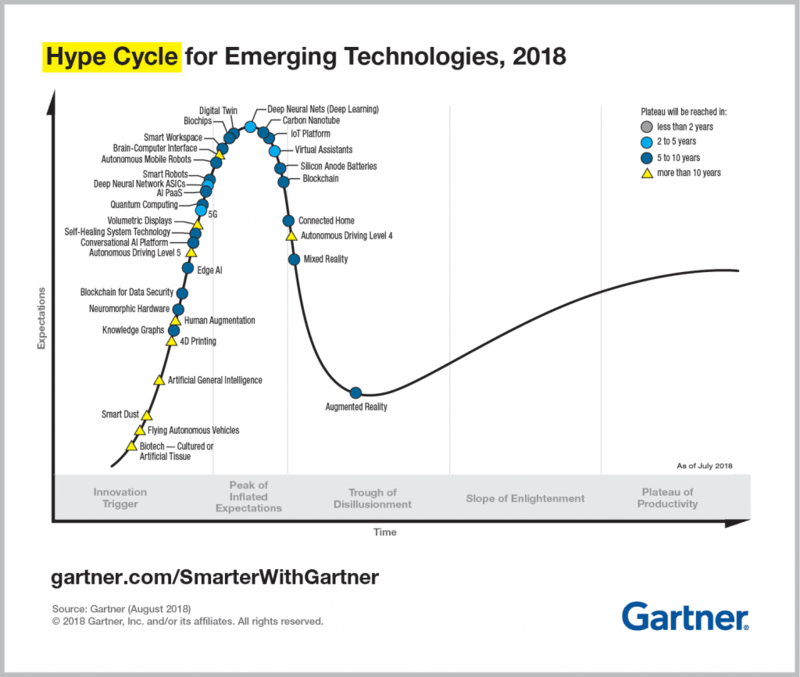 As of just August 2018, Gartner has highlighted a number of emerging technologies on an updated Hype Cycle. As we can see, AI we will be discussing, like Virtual Assistants, AI PaaS, Conversational AI Platform, and Artificial General Intelligence, are still within their beginnings. We only truly see Virtual Assistants, popularized by tools like Amazon’s Alexa and the Google Home, beginning to enter the Trough of Disillusionment. What exactly does this mean? Artificial Intelligence is absolutely an emerging technology, and one to keep a close eye on within the next coming years. However, our understandings and more importantly implementations are still within a very primitive state. In fact, Business Communications is starting to just now see some capable and interesting real-world examples of AI. Artificial Intelligence is a fairly broad terminology, and the application of such can vary depending on industry and context. AI has an interesting place within Business Communications, in improving the way we understand each other while providing some interesting insights into how we interact. These tools do not directly impact how we communicate — that is the role of UC applications — but rather, they attempt to make our communications much more effective. A large emphasis is directly placed in interpreting interactions, and understanding a number different factors to provide a prediction, or guide towards a successful outcome. AI does have one specific requirement to function properly, and that is data. You can think of AI as an artificial brain almost, and to function that brain needs information to process and learn. The AI “brain” requires data to understand information, identify patterns, and ultimately run algorithms to determine potential outcomes and make predictions. It is one thing to discuss the potential and concepts of an emerging technology, and it’s another to see it working in real-life. While still in the early stages of development and use, business communications has been seeing some real-world developments with AI technologies within just a few short years. At its most basic level, we have become familiar with predictive analytics and even virtual assistants. Many of us have even interacted with more advanced applications, like Natural Language Processing, and have not even realized it. The truth is, AI is already creeping its way into Business Communications and processes. Here are five of the top examples of AI in Business Communications today. When the concept of innovation comes up, Nextiva is generally one of the first solution provides and developers that comes to mind. 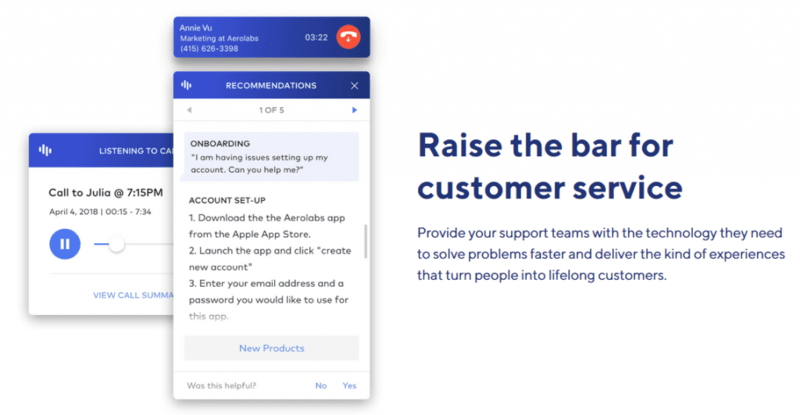 Their most recent innovation, NextOS, combines a wide number of business applications, including every step of the customer interaction process, as well as internal communications. By integrating each individual application into one single platform, these tools not only work great by themselves, but even better when combined together. Through the use of Artificial Intelligence and Machine Learning, with tools like NextIQ, SmartTopics, and NextStep automations to compliment this data collection. SmartTopics, for example, enables “users to categorize positive and negative interactions with customers, and organize this data to form a better understanding of the support provided — this of course enables users to improve their response if necessary, and provide a more satisfactory solution. AI used utilized to categorize the experience, and a back-end algorithm can be utilized to automatically trigger different operations and actions based on the categorization. The Customer Experience Score feature will both proactively and automatically engage “at risk” customers, while also nurturing already happy customers, to help provide a better overall experience. This score is consistently updated in real-time based on every single interaction in order to provide all users with a deep understanding of these interactions. Admins can customize specific rules and triggers, as well as happiness thresholds to tailor the solution and its functionality. Nexmo’s platform is all about connecting clients, customers and users to the brands and products they love and use every day. Through the use of AI, Nexmo aims to help customer and client service agents better reach better outcomes with real-time sentiment analysis. By utilizing the insight into the sentiments and emotions of a caller provided by AI, agents can make better, more informed decisions to support more effective outcomes. When a user calls in and connects with a support agent, Nexmo’s real-time Sentiment Analysis silently connects a quiet AI bot to the call as well. This bot actively analyses the conversation as it unfold, and attempts to understand the situation, and more importantly how the caller feels. Depending on a trigger or ruleset that is configured by each organization, the bot can be triggered to preform specific actions. For example, if the AI determines the caller is growing frustrated, it can summon a supervisor to silently engage in the call. The supervisor could then silently provide advice and encouragement to the agent through a text chat, helping to resolve the situation with a more positive outcome. The AI never leaves the call, and listens in to understand how different advice and actions taken by the supervisor can lead to a positive interaction. At their most recent annual developer’s conference, Signal, Twilio jumped head first into the AI market with their new Autopilot platform. Designed to enable users and developers to take full advantage of Artificial Intelligence and Machine Learning, Autopilot enables users to create custom bots, Interactive Voice Response menus, and even home assistant applications. Right now the platform has a focus on more low-level interactions, but should help contact centers solve simple issues quicker, leaving more time for the complex ones. As a fully programmable and conversational AI platform, Autopilot utilizes conversational patterns to first engage the customer at their desired interaction channel. Since Autopilot can be used to develop IVR menus or custom bots, the platform can be utilized for both call centers and contact centers with SMS and web chat deployments. After gathering the initial information, an AI powered bot can then pass that context to an agent if it determines a human interaction is necessary. Of course, being Twilio, the platform is all about simplicity — simplicity it the problem it aims to solve, but also simplicity in the implementation of the platform. With just one single API, developers can create anything from SMS and chatbots, to IVR menus, to virtual assistant skills for tools like Slack, Google Assistant and Amazon Alexa. The overall idea is to provide self-service options with a solid user experience for customers. Utilizing AI as a “middle-man” in customer and support interactions enables the customer to receive that help they need, while keeping that context in mind and focusing on the user experience of a simple interaction. 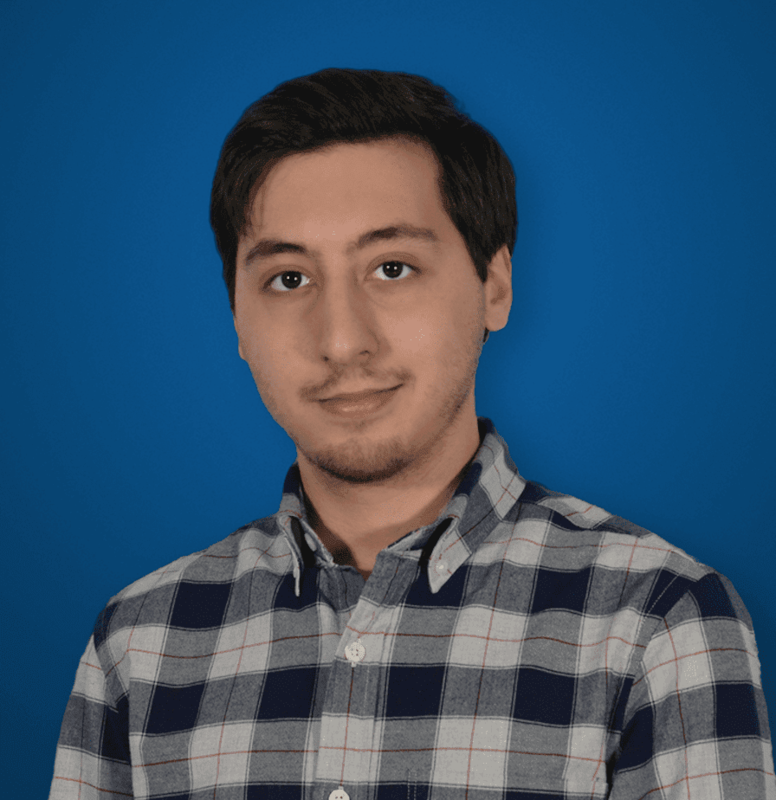 When they acquired TalkIQ not too long ago, Dialpad managed to fully integrate AI and machine learning directly into their already popular calling platform. Similar to Nexmo, Dialpad Voice AI introduces real-time sentiment analysis to help save “at-risk” calls and steer the conversation into a better outcome. But moving beyond just sentiment analysis, Dialpad leverages Natural Language Processing to not only process real-time conversations, but provide users with some very helpful, time-saving automations. Voice AI includes Real-Time call transcription, and even delivers the transcripts in a simply text-based format. The transcripts go as far as to even identify each individual speaker within the transcript for ultimate clarity. Over time, the more the AI processes, the better it gets at understanding conversations and unique nuances within language. Voice AI also two more time-saving features, Action Items and Snippets. Action Items act as a real-time, AI powered to-do lists. During your conversation, the Voice AI highlights and pulls out key tasks and events, and automatically places them on a To-Do list. In a similar fashion, Snippets will take notes on your conversation, and highlight important points or key takeaways. A Call Summary view is also available to conveniently collect all this information in one location. The best part is that all of this added AI functionality has had little impact on Dialpad pricing. Speaking of saving time, Cisco is bringing AI and time saving to an entirely different level with their Personal Assistant. Originally introduced as the Cisco Spark Assistant, the platform has now been renamed to WebEx. 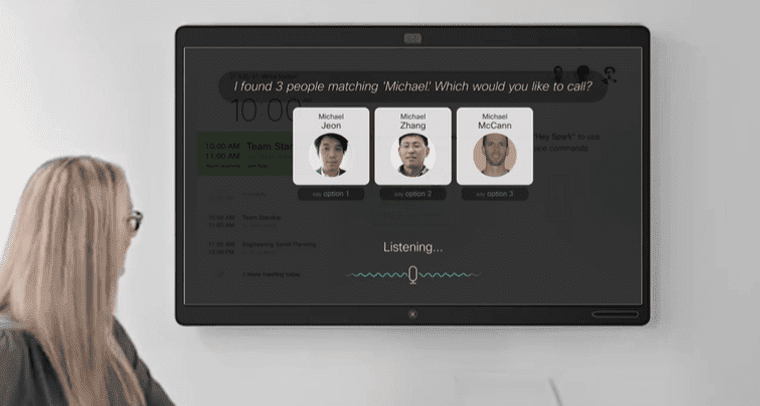 Regardless of the official title, Cisco’s Personal Assistant is a powerful tool that will help enhance meetings and conversations — in real-time, of course. While still seemingly in its introduction stage, the current functionality for Cisco’s Personal Assistant is a bit limited, but still pretty helpful. 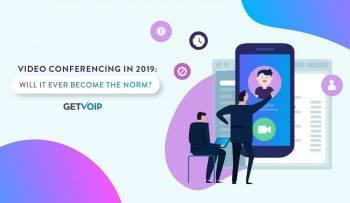 When initially launched, through the use of voice commands, this virtual assistant start meetings, join meetings or a co-worker’s individual room, call anyone within your organization, control a and Cisco endpoint. Cisco absorbed a number of AI technologies recently, including their MindMeld acquisition which helped developers to further refine. Speech Recognition technology, Natural Language Processing, Question Answering and Dialogue Management. With all of this development, the goal of a AI powered Personal Assistant is to understand how meetings work, how we work, and how to enable us to do so more effectively. Who wouldn’t want their own personal, virtual secretary to take notes and schedule meetings for us? RingCentral is generally another provider known for their innovation. In 2017 specifically, RingCentral introduced a whole new range of Powerful AI, bots and application integrations for their Connect platform. Originally, RingCentral simply introduced a few skills for Amazon’s Alexa device, enabling users to interact with the RingCentral app through via commands. This enables Alexa to act as a personal assistant for RingCentral users to start calls, request playback of or respond to voicemails, and even start an outbound SMS message. 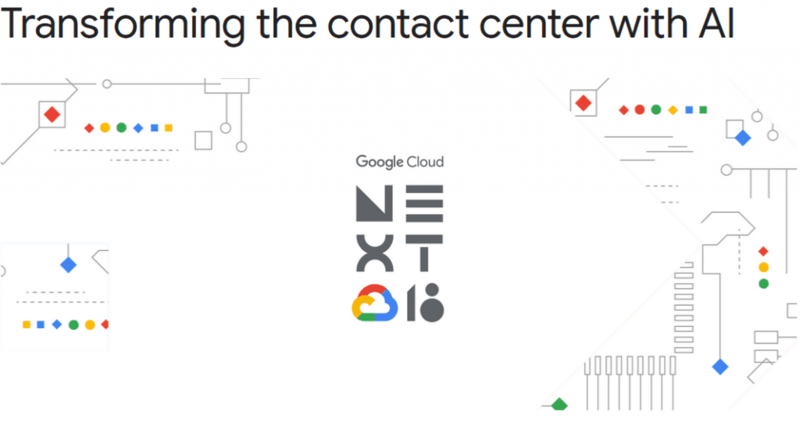 But more importantly, RingCentral announced a partnership with Google to boost AI within their Contact Center platform. This partnership has enabled RingCentral to integrate and apply AI within multiple areas, providing deeper customer engagements while improving productivity. For example, a Virtual Agent Learning Engine can be utilized to improve the performance of Chatbots and AI Routing over time by learning from previous interactions. Agent Assistants, powered by AI, Natural Language Processing and Speech Analytics can provide agents with insight and support, specifically by accessing a knowledge base to gain contextual information in real-time. This information can then be utilized by the agent to achieve a more productive outcome. AI powered workforce optimization is also included, leveraging machine learning to help improve overall agent performance and productivity over time. Cross-selling and Upselling scripts can also be introduced to help maximize the sales cycle, provide customer insights, and improve overall performance. There really is no debate, Artificial Intelligence will have a very large impact on the way we live our lives, and of course the way we work. Through these technological advancements, we can directly improve our work streams to be more effective, enabling us to be productive by wasting less time. It is important to recognize that Artificial Intelligence is still really within its infancy, especially when we look towards Business Communications.However, even within these early stages of the technology’s life, we are still seeing some impressive and thought-provoking examples and applications making their way out into general use. 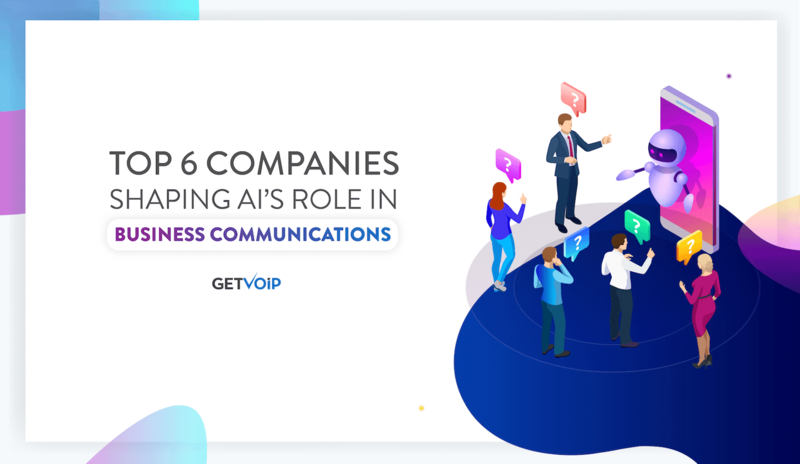 These five providers are just a few that are leading the way when it comes to the AI revolution within business communications, but these examples alone can provide some deep context for where this technology can go.